The trial didn’t end up happening last week. As my partner and I sat outside the courtroom nervously twiddling our thumbs, we got to talking about food (obviously. Please refer to the top of the post) and how it’s hard to find vegan/vegetarian Mexican food in Tucson. She shared with me her homemade refried beans recipe, and now I’m not sure I’ll ever go back to the brown, can-shaped glob of gassy beans I used to buy from Safeway. While the beans are cooking, make some Spanish rice and you’ll have yourself a nice little (homemade) Mexican meal. Saute garlic, onions, green bell pepper, red bell pepper, and tomato. Then add cooked rice, tomato sauce, cumin, chili powder, green hatch chilis, and salt. Once the beans are cooked and you’re ready to “refry” them, heat a pan and some olive oil over medium heat. Pour in your cooked beans and mash well with a fork. Get your arm into it. Add in hatch chilis, salt, and a little cumin. Serve with tortilla chips, guacamole, and salsa. Voila! First prepare the beans since they take the longest to cook. 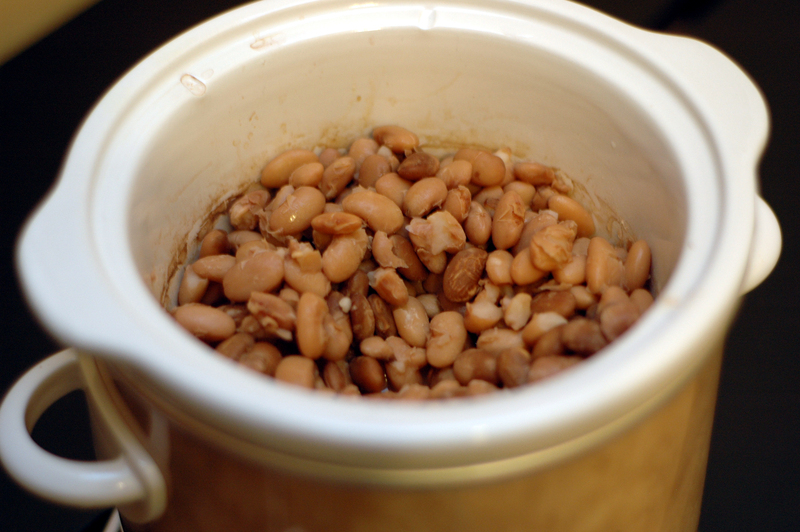 Rinse beans, dump into crock pot, and fill with water. Turn to high and leave for 6-8 hours. If you do this on the stove, fill the pot with enough water to cover the beans. Bring to a boil, and then turn to medium-low and let simmer for several hours until cooked. Next, cook your rice either on the stove or in a rice cooker. Meanwhile, saute diced onions until they soften and brown. Then add bell peppers and diced tomato and saute a few minutes until soft and fragrant. Add in cooked rice, tomato sauce, hatch chilis, and seasonings. Stir well. Adjust seasonings to your preference. Once beans are cooked, add to a pot with olive oil and mash beans with a fork. Add hatch chilis, salt, and cumin. Looks simple enough that even I can make it.� But as you know, I am afraid of the beans! The pictures look really nice!� Did you see the pictures of the center people? I couldn’t watch the superbowl.� It was too one sided for my taste. Saw your pictures- they came out very nice as always! What a lovely dish! I never tasted refried beans but it sure looks tasty to me! A must try! Thanks :) I’m not sure how available canned refried beans are in other countries, but I’m sure you can get dried pinto beans and make a homemade version! I am trying out the refried beans today! thanks. They are a favorite of George’s. I hope it comes out well!! I found that using a little oil and a splash of water went a long way. I first tried to make it without oil, since I’m used to buying fat free beans, but somehow the beans just tasted too dry that way. Let me know how yours turns out! Okay, thanks for that tip. I will be sure to let you know. 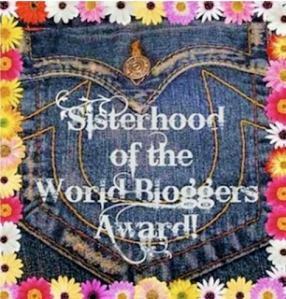 Gave you a shout out. The rice was fantastic! The beans turned out perfectly too.